Description This photograph would have been taken roughly from the western end of where the Kelley Center now stands. 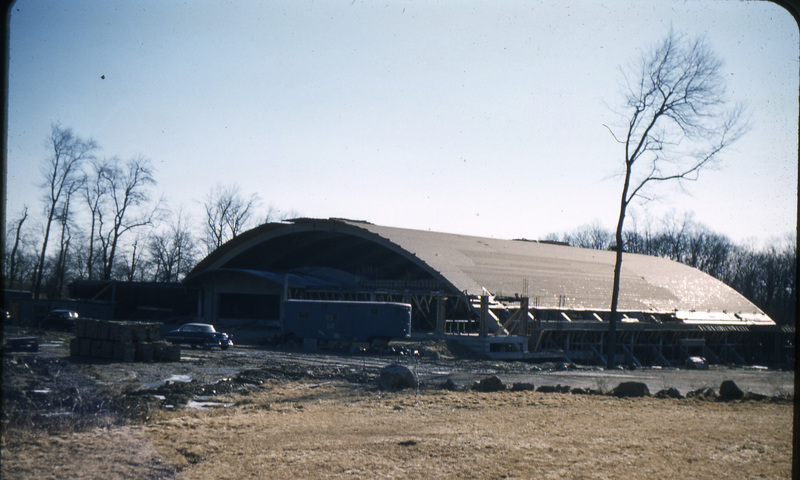 It shows the completed roofing over Alumni Hall. A black car is parked to the left in front of the building.